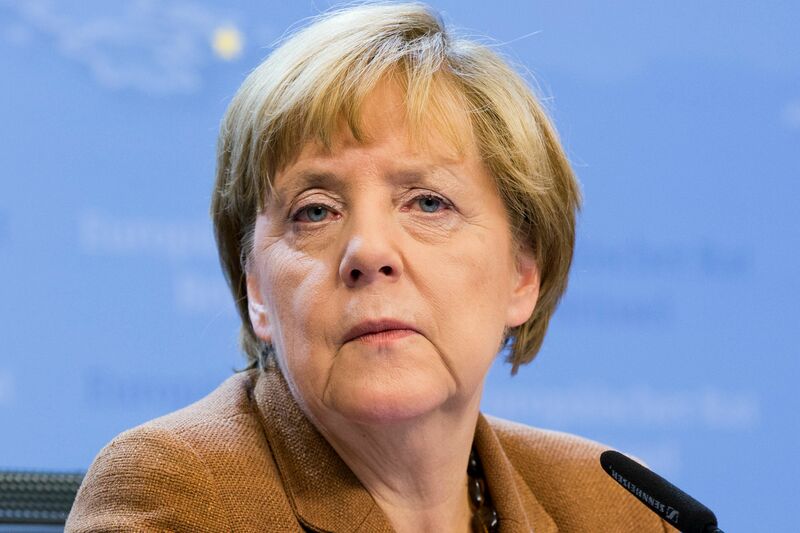 A remark by German Chancellor Angela Merkel at the press conference following the extraordinary summit in the night of 23-24 September has sparked tensions in Bulgaria, prompting Prime Minister Boyko Borissov to deny that he had asked ‘hotspots’ for refugees to be set up in the country. At the presser following the end of the extraordinary summit of EU heads of state or government, Merkel said that Borissov had expressed interest in hosting a ‘hotspot’ refugee reception centre in Bulgaria. The news sparked violent attacks from the opposition Socialist party and from the nationalist Ataka. The socialists slammed Borissov for announcing major political decisions from Brussels, before any sort of previous political consultation in the country. The nationalist and xenophobic party Ataka said the setting up of ‘hostpots’ in Bulgaria would be ‘a tragedy”. The Patriotic Front, a nationalist political force supporting the government, qualified the setting-up of ‘hospots” as “madness” and said it would call for a referendum on the issue. This prompted Borissov to make a lengthy statement at a public event yesterday (24 September), dismissing the news that he had asked for such a hotspot to be set up in Bulgaria during the EU summit. Instead, Borissov said he had asked for equal treatment from the EU side of Bulgaria, together with the other most heavily affected countries from the refugee crisis. He also reiterated that Bulgaria has fulfilled the criteria to be a member of the Schengen Area, and is expected to act as an external border of the EU, without receiving any financial assistance. “The European Union (EU) should take into account our wish to protect the Schengen Area, although we are not a member,” Borisov said. The Bulgarian Prime Minister also commented on a letter he had received from his Turkish counterpart, Ahmet Davuto?lu, saying that it was a long and useful letter, and advised everyone to read it. The communication was published on the Bulgarian government website. Borissov said that Davuto?lu, who warns that more than 7 million Syrians could head to Europe if the crisis is not dealt with by the international community, asked him to present the letter to the summit. The Bulgarian Prime Minister argued about the need to act in a pre-emptive manner, regretting that the attention of EU leaders focused on Italy and Greece only. “The focus was put on Italy and Greece, but I took out Bulgaria’s map and said that we should speak about geography. Our land border with Turkey is not smaller, the EU should take into account our wish to protect the Schengen area although we are not a member. Should we wait until 300,000 refugees enter Bulgaria before we summon an extraordinary summit for Bulgaria, too? […] In the EU, we gather only to say how many billions should be allocated and where to relocate the migrants. We cannot take any other decisions that outrun the events,” Borissov said. He also spoke about the need to find a solution to the Syrian crisis with the participation of Russia and the US, and proposed the creation of safe zones in Syria. Borissov also blasted the Commission’s infringement on Bulgaria, on is poor treatment of refugees. He said that a retired person in the country gets on average 150 euros per month, or 5 euro a day. He said that Bulgaria was feeding the asylum seekers, and making a significant humanitarian effort, and that he had asked Commission President Jean-Claude Juncker to revoke the infringement against Bulgaria. Vesselin Zhelev, one of the longest-serving Bulgarian journalists in Brussels, wrote in “Club Z” website that Merkel’s blunder almost put down the government of Borissov, who is one of his most faithful prime ministers. Both Merkel and Borissov’s political forces are affiliated to the centre-right EPP. Dnevnik, the EURACTIV partner in Bulgaria: ???????? ? ??????????????? : ?????? ?? ? ???????? "?????? ?????" ?? ??????? http://www.noworriesluxuryauto.net/	Knowing the many different types of auto insurance will help you find the auto insurance exposure you need at a price you can afford thereby allowing you to legally drive in the state you currently reside in. Although using the outlay or price for your next auto insurance document may be a good start whist comparing auto insurance exposure providers it definitely shouldn’t the only factor used to determine which company to obtain your next auto document from once you actually decide to make a purchase.